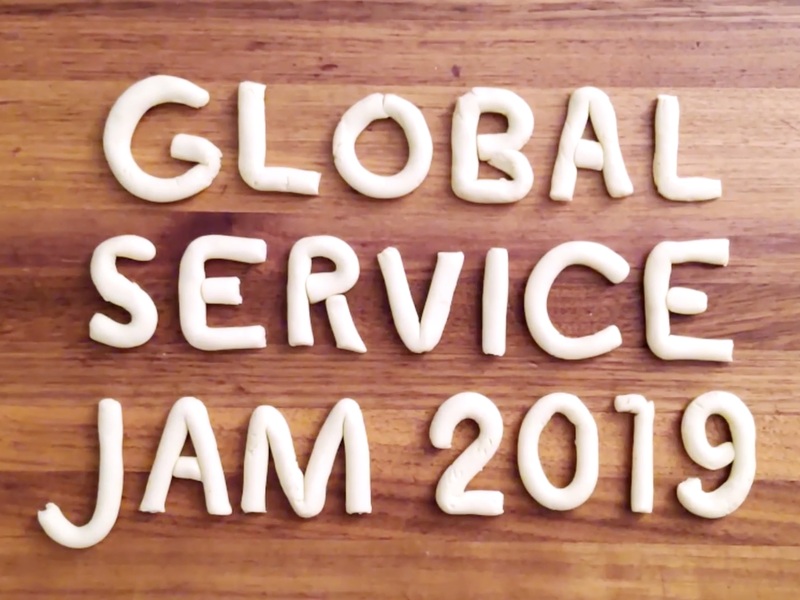 Congratulations to everyone who took part in the 2019 Global Service Jam! 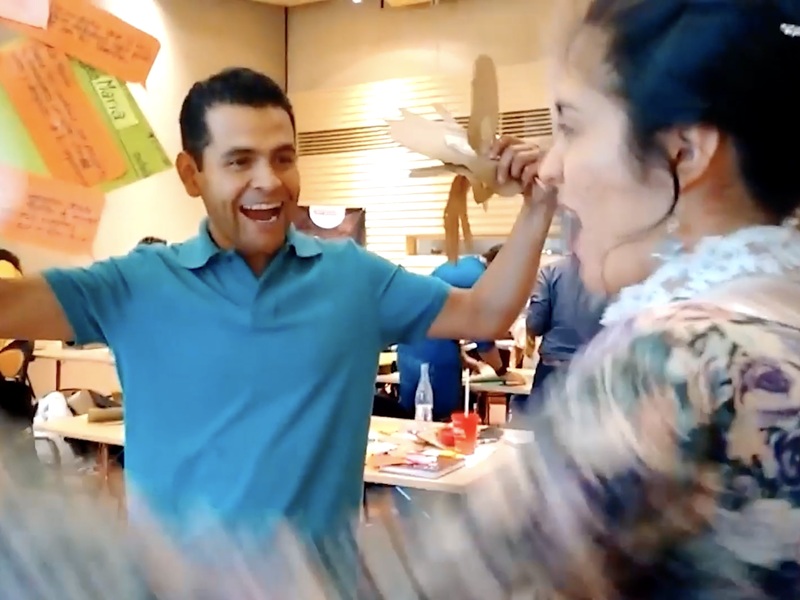 Across four days and 19 timezones, Jammers at 124 locations on six continents researched, ideated and prototyped around a shared Surprise Theme. Led by amazing volunteers, they made new friends, tried new skills and learned new ways of solving problems. As they worked, they shared their progress, publishing well over 500 prototypes of brand new services as thousands of people each gave 48 hours to change the world. 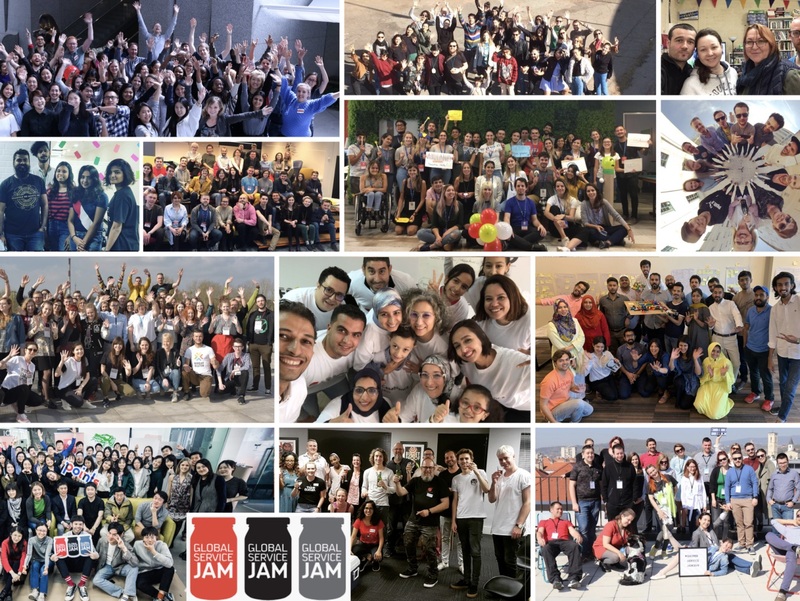 The biggest Global Service Jam in history can only happen with the dedicated work of many generous and skilled people. At the core were our HQ team of Adam, Dora, Kathryn, Liz, Mahmoud, Markus and N.P. Of these, special mention must go to Liz and N.P, who directed and scripted our two opening films, and to Markus, who powered the websites. This year also saw the pilot of a new Deep Jam for experienced participants. This “expert track” was designed and supported by Bas, Daphne, Linsey, Markus, Mike, Qin, Shay, and Stefan. The pre-research was performed and collated into a starter pack by Bas, Qin and Shay. We also kicked off our first ever formal programme of research into the Jam experience, crafted by Fernando and Markus, and advised by Stefan, Johan and Marc. But the Jam is thousands of people, So “thank you” to everyone who took the time to Jam, to Host, or support us in any way. You are the Jam, and we are grateful to have so many great minds and hearts involved in this fantastic global project. After the Jam is before the Jam, so let‘s start counting down the days until we get back to our Jamming selves. Until then, we hope you can take the Jam with you! PS Sign-ups for the next Global Jams will begin on the 8th of April 2019, when we announce the new dates.